Pianist, producer, and educator, Angela Yoffe, is widely admired for her dazzling musicianship and passion for music education. In 2010, Yoffe created Chicago’s annual North Shore Chamber Music Festival, now in its 7th season, and each year presents career advancement awards, such as the Arkady Fomin Scholarship, to exceptional emerging artists. Yoffe is also founder of the Collaborative Piano Class at the Chicago College of Performing Arts at Roosevelt University and the Creative Learning Program of the Betty Haag Academy of Music. She has created collaborative projects with the International Center on Deafness and the Arts and the Lurie Children’s hospital. Ms. Yoffe has performed as a chamber musician and recitalist in New York, Washington, Chicago, San Francisco, London, Berlin, Paris, Tel Aviv, Geneva, Rome and Tokyo. She has appeared as guest soloist with the Seattle Symphony, the Omaha Symphony, SWR Stuttgart Radio Orchestra, the Hamburg Symphony and with New York’s Jupiter Symphony under the batons of Andrey Boreyko, Gerard Schwarz, Jens Nygaard, Sebastian Lang-Lessing, and Victor Yampolsky. Yoffe has been invited to perform at the Verbier Festival in Switzerland, Lockenhaus Festival in Austria, Festival de Radio France, Schleswig-Holstein Festival, Colmar Festival in France, MIDEM Festival, Ravinia Festival, Pablo Casals Festival in Puerto Rico, the Schwetzingen Festspiele, and the Bantry Festival in West Cork. Yoffe records exclusively for BIS Records, and her discography includes a recently release album with violinist Vadim Gluzman of Sergey Prokofiev’s Violin Sonatas. Her world premiere recording of Lera Auerbach’s “24 Preludes for Violin and Piano” (composed for Ms. Yoffe and Mr. Gluzman) was released on BIS Records to rave reviews, as well as their other albums: “Time… and Again,” “Ballet for a Lonely Violinist,” and “Fireworks”. 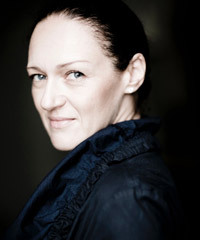 Angela was born in Riga, Latvia into a family of respected musicians. After studying piano performance in the Soviet Union and Israel she continued with Joaquín Achúcarro and Jonathan Feldman in the United States and became an assistant to Dorothy DeLay at the Juilliard School of Music.